None of the Top Doctor acknowledgments earned by Dr. Godek can be purchased or campaigned for by physicians; each is awarded through a peer nomination and thorough screening process. 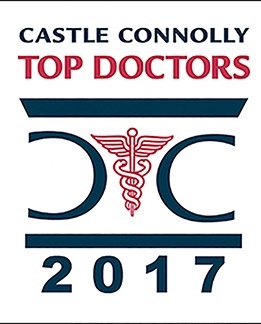 For example, to formulate the list of Castle Connolly Top Doctors, the Castle Connolly Medical Ltd. team contacts thousands of healthcare professionals and asks them to identify who they feel are the best physicians in various specialties. Once votes are collected, the candidates for inclusion are extensively vetted, and only those who received the most nominations—and are deemed qualified by Castle Connolly—attain a spot on the final list. In similar fashion, New Jersey Monthly magazine used independent research firm Leflein Associates to reach out to 24,116 New Jersey-based doctors, asking them who (other than themselves) they would elect to provide medical care to members of their own family. After all votes were submitted, any invalid or duplicated entries were discarded and top nominees who had no history of disciplinary actions were added to a preliminary list. This list was then examined by a review panel of 24 physicians who were among the highest vote-getters from last year, and the approved doctors were named to the finalized list to be published in New Jersey Monthly’s special Top Doctors edition. This is the sixth year in a row Dr. Godek has been recognized as a Top Doctor by Castle Connolly and New Jersey Monthly, and the eighth year in a row he’s earned the title from Inside Jersey. In regard to the distinction, he says he’s incredibly honored and humbled that his peers view him as a leader in plastic surgery, and he hopes patients see the accolade as a strong indication of his ongoing commitment to ensuring every individual who seeks his help receives the quality of care they deserve. For more information about Dr. Godek’s Top Doctor recognitions, or if you would like to schedule a consultation at the Personal Enhancement Center, please don’t hesitate to contact us online or by telephone today.